What’s to Love: Clarence’s unstoppable optimism has captured our hearts, and we’re sharing that joy with a one-shot collection of shorts from some of our favorite indie writers and artists! What It Is: It’s a collection of shorts based on the Cartoon Network animated series that takes place during family road trips when Clarence and his pals make it out of the car to stretch their legs. 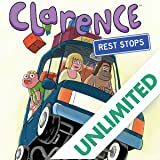 What's to Love: Clarence's unstoppable optimism has captured our hearts, and we're sharing that joy with a one-shot collection of shorts from some of our favorite indie writers and artists! 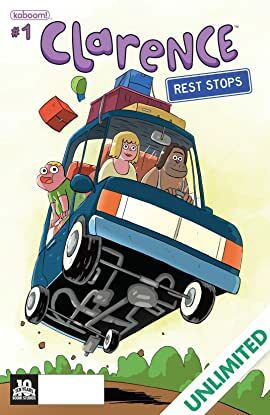 What It Is: It's a collection of shorts based on the Cartoon Network animated series that takes place during family road trips when Clarence and his pals make it out of the car to stretch their legs.